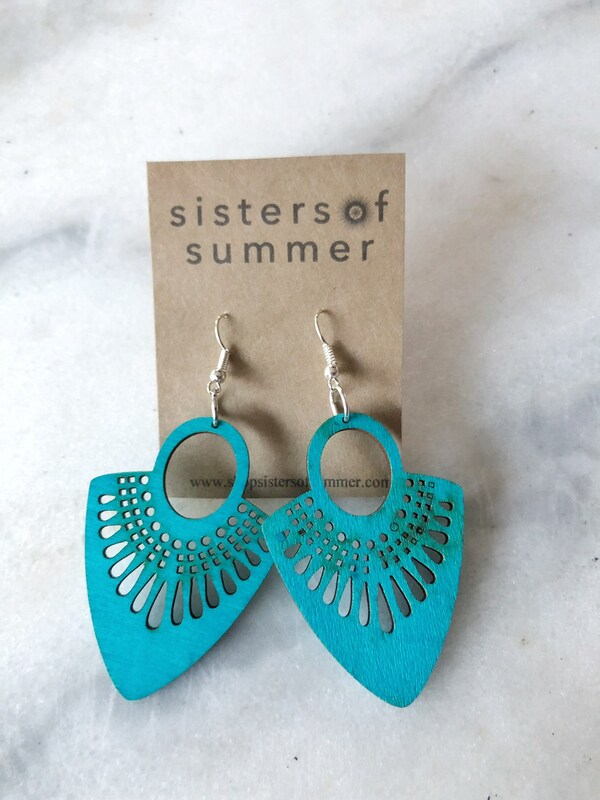 Geometric Circle Laser Cut Wood Earrings. Super light and easy to wear. Surgical steel post. No nickel.